Celebrate the New Year With Us! Srila Prabhupada Festival - Thursday, January 1, 2015 ~ The Toronto Hare Krishna Temple! On New Year's Day, Thursday, January 1st, 2015, Toronto's Hare Krishna temple will be hosting our annual Srila Prabhupada Festival! Promising to be a great way to start the new year, the festival is usually one of the biggest of the year. The festival will feature plenty of kirtan, wonderful classes and as a special treat, a dramatic presentation presented by HH Bhaktimarga Swami to ring in the new year! 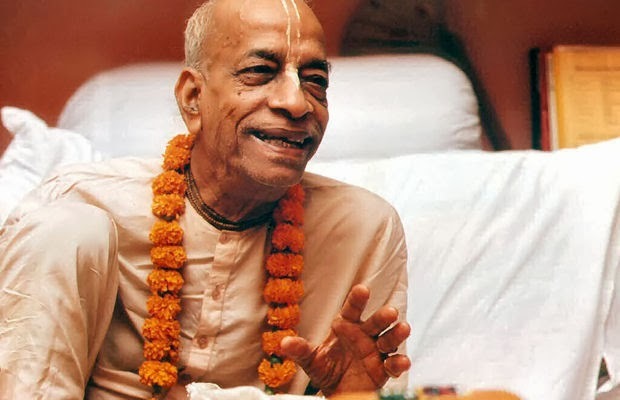 7:00pm - 7:05pm: Srila Prabhupada Marathon Finale! 8:30pm - onwards: Free Vegetarian Feast!